Donald Trump ist immer noch in Führung. Eine neue Umfrage zeigt ihn immer noch klar vorne. (PDF). Slate meint, dass Trump auch in Iowa einen 5 Punkt Vorsprung auf Ben Carson hat, und 10 weitere Punkte auf den Rest. 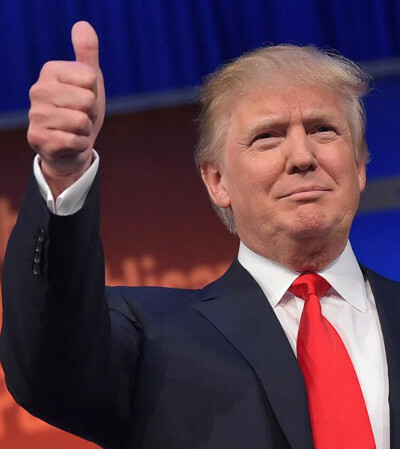 Another poll, another good day for Donald Trump. The latest Des Moines Register-Bloomberg survey has the brassy billionaire leading the GOP field in Iowa by 5 points over Ben Carson and another 10 points over everyone else. 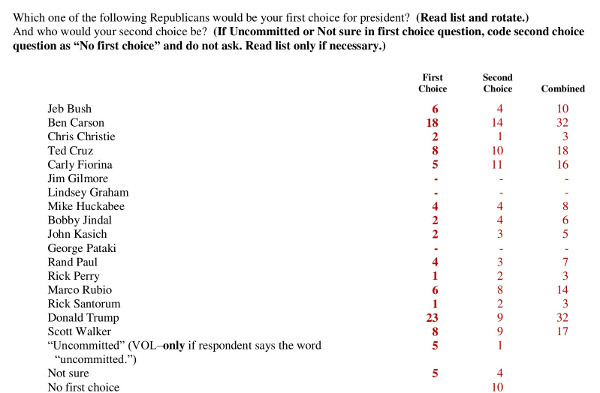 That, though, isn't why the survey should be giving the Republican establishment heartburn.